As a matter of fact as I sat down to write this blog, I was distracted by the kids watching TV, the candle burning, the truck passing by, the lights needing to be turned on outside, a mosquito, 5 text messages, a Facebook alert and the thought of what’s on my calendar the rest of the week. So what can we do to minimize these distractions? For one, acknowledge them, write them down if it’s an important thought, if it’s not that important, let it go. You can also turn off devices that distract you or silence them. We have to understand that distractions are always going to come up but it is also in our control to dismiss those that don’t serve us or don’t get us closer to our higher purpose. In a way, I see distractions as the universe’s way of showing us if we are as committed as we say we are. So when you find yourself off course, redirect and keep moving in the path that aligns with your goals and higher purpose. 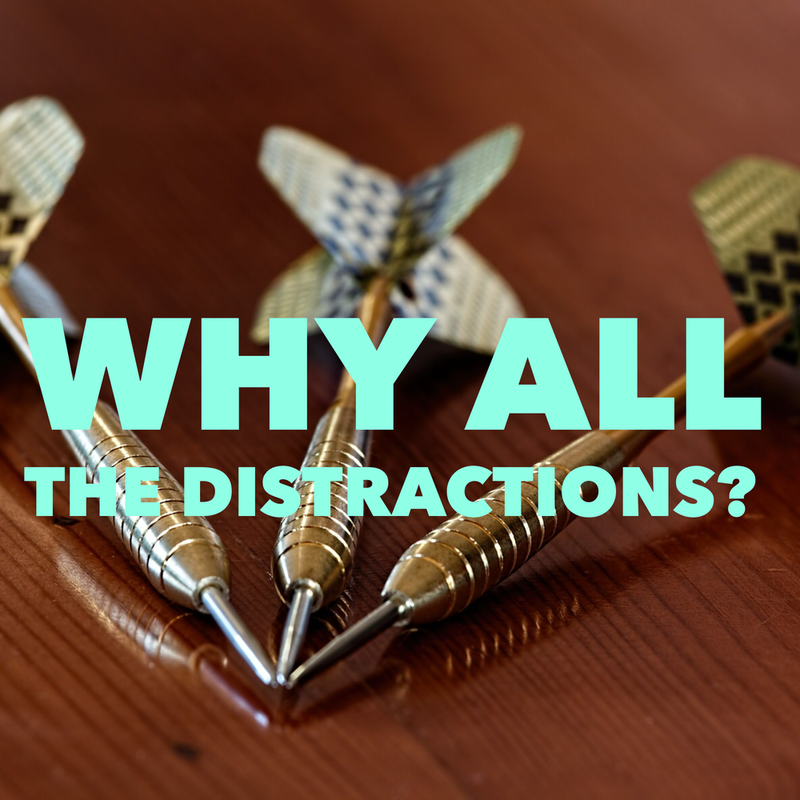 Sometimes distractions are a sign that we are not happy or living to our full potential. Perhaps you aren’t happy at work or with the way you feel or look. Maybe you’re staying in an unhealthy or unfulfilling relationship or you haven’t stood up for yourself or feel your voice hasn't been heard. If this is the case, then we must find what is holding us back. Is it FEAR (false evidence appearing real)? Fear can paralyze anyone in there tracks and keep them in a state of depression, anger and desperation but worse from fulfilling their life’s mission. I recommend journaling and meditating daily. These are helpful tools when facing adversity or you’re in a funk.